In the late forties and early fifties Atlantic City was a place of wonder for the artist as a young boy. Only happy times and always happy times, he was swept away by the magic of the architecture and spent many a blissful hour wandering along the boardwalk. 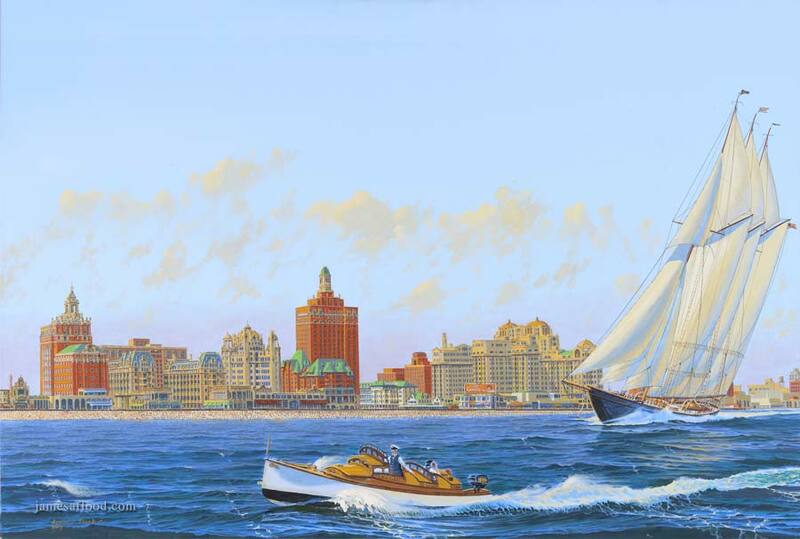 Atlantic City Remembered has been waiting to be painted for many a year.